Physical media is alive and we’re trying to keep it that way! Every week on Let’s Get Physical Media, we highlight a handful of the most interesting new releases on Blu-ray - including cult films, classics and recent hits - to make sure you know what’s worth your hard-earned money. June 19, 2018 brings us giant robots, giant rabbits, a harsh indictment of the gun industry and a harsh indictment of the health care industry. So there’s something for everyone as long as you want something super goofy or super serious, with nothing in between. If you don’t know what the heck a “lepus” is, you’re the target demographic for “Night of the Lepus,” a horror movie about giant man-eating rabbits. The studio did everything in their power to hide the fact that it’s a movie about rabbits, from keeping the rabbits off the poster, to using the Latin word for “rabbit” in the title, presumably so no one could technically accuse them of false advertising. “Night of the Lepus” is one of the most remarkably bad movies ever produced, the kind of film that movie-lovers used to describe in hushed whispers. It stars Janet Leigh (“Psycho”), Stuart Whitman (“The Comancheros”), Rory Calhoun (“Motel Hell”) and DeForest Kelley (“Star Trek”), and it tells the story of a farming community overrun by giant bunnies, who stab people with their buck teeth and, just to make it odder, punch people with their giant paws. 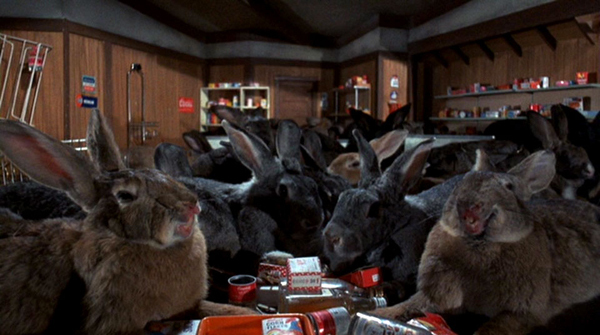 It’s the sort of film that would be a straight-to-video SyFy lark if it came out today, approximately on par with “Sharknado,” but somehow “Night of the Lepus” is a serious motion picture about the real problems of livestock management, overpopulation and the side effects of hazardous chemicals. Shout! Factory has cleaned the film up, and seeing “Night of the Lepus” in its originally intended epic glory only highlights just how laughably absurd it all is. “Night of the Lepus” is the kind of bad movie that every movie-lover is required to see, at least once, and with multiple commentary tracks and a great new transfer, it’s definitely worth buying too. 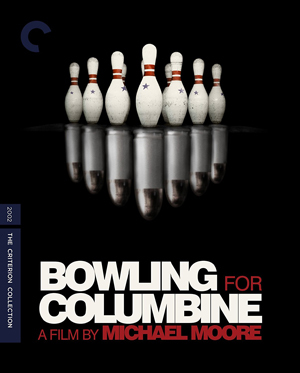 And now for something completely different: Michael Moore’s Oscar-winning documentary “Bowling for Columbine,” a harsh, but somehow funny look at the gun culture that still permeates throughout American society, and drives our collective mentality about this country. It would be nice to say that it’s hard to imagine, today, what an impact “Bowling for Columbine” had when it first came out in 2002. But sadly we’re still having the exact same conversation. The players have changed, and yet many of the problems - like school shootings - have only gotten worse in the intervening years. 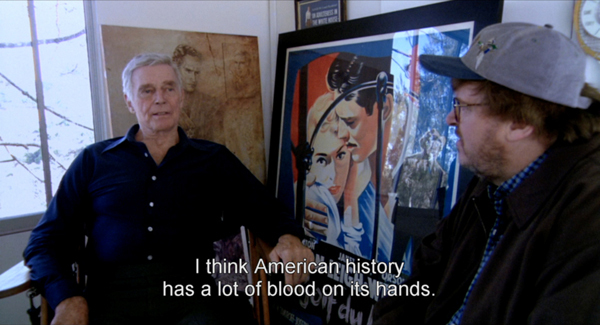 In the documentary, Michael Moore explores the industry that financially benefits from gun violence, the argument that violent art yields real-life violence, and the fact that other countries have similar laws securing the right of citizens to bear arms, and yet do not suffer many of the same problems that America suffers. And now for something completely different (again): “Pacific Rim: Uprising,” the underperforming sequel to an underperforming blockbuster about giant robots fighting giant monsters. The original “Pacific Rim” was directed by Guillermo Del Toro (“The Shape of Water”) and was a stylish, highly detailed, character-driven action adventure with more complex mythology than could safely fit within a single film. The sequel is… not those things, but it’s still pretty fun. John Boyega (“Star Wars: The Last Jedi”) stars as Jake Pentecost, the previously unmentioned son of the heroic Stacker Pentecost, who died in the previous film. He’s recruited, against his will, to lead a team of young Jaeger (read: giant robot) pilots, in a world that hasn’t had a giant monster attack in many years, and is starting to grow complacent. But then a new mysterious Jaeger attacks, and a second war begins, forcing rookie robot pilots to join forces and save the day. 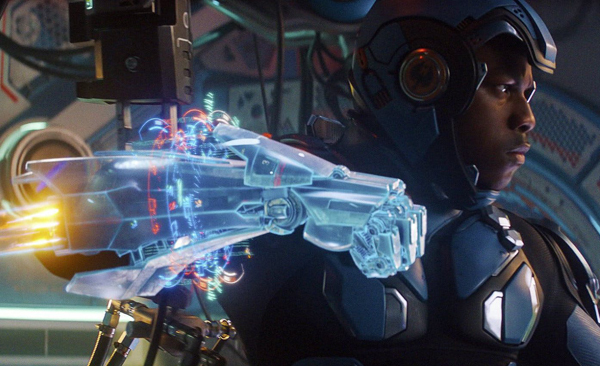 “Pacific Rim Uprising” is light and simplistic, whereas the original was dark and complex. It plays a heck of a lot like the Saturday morning cartoon version of the concept, which actually gets the movie pretty far. The set pieces are fast and dynamic, the characters drawn with a brush just big enough to get them noticed against the sci-fi backdrop. If you’ve never seen the original, or if you don’t have much of a connection to it, then this follow-up from director Steven S. DeKnight (Netflix’s “Daredevil”) is a worthy addition to your library. 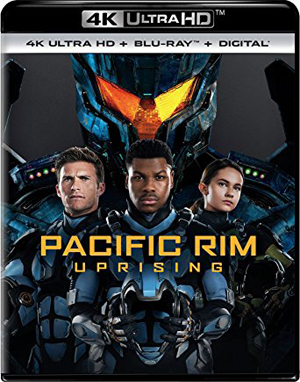 If, on the other hand, you do love the original “Pacific Rim,” and have any respect for its characters, then “Uprising” might very well piss you off. Mako Mori (Rinko Kikuchi), a character so expertly crafted that a school of critical thought is named after her, gets sidelined so quickly, and with so little care, it can only be interpreted as an insult. And the absence of other characters, previously established plot points, and the original film’s practically signature visual style are similarly frustrating. If “Pacific Rim Uprising” were the first film in the series, it would be a respectable hoot. As it stands, it’s a mixed bag with some admittedly fun toys inside. And now for something completely different (again-again): Steven Soderbergh’s low-low-budget psychological thriller “Unsane,” starring Claire Foy (“The Girl in the Spider’s Web”) as a woman who gets committed, against her will and without cause, to a mental institution, and is told she has no other recourse but to remain there until her insurance runs out. That alone would probably be enough of a nightmare for anyone who knows how the American medical system works, but Soderbergh heaps on top of that a disturbing plot in which Foy’s character believes on the orderlies is the stalker who drove her to seek help in the first place. Whether she’s right or merely paranoid is a question the movie wants you to ask for yourself, so I won’t ruin it here. Let’s just say that the topicality of “Unsane” is off the charts. “Unsane” was shot entirely on a iPhone 7 Plus, so it’s odd to think of it as a Blu-ray purchase. Surely if any movie could be watched on a phone without losing prestige, it would be a film that was shot on a phone. But Soderbergh uses the intimacy of the technology to his advantage, and the familiarity of the iPhone “look” only adds to the realistic horror wavelength he’s trying to capture in “Unsane.” It’s a superb and disturbing thriller in any medium, and will play great on any screen. I got Pacific Rim: Uprising today. The 4k/3D combo set. I'm excited about it and definitely need it after the day I've had.